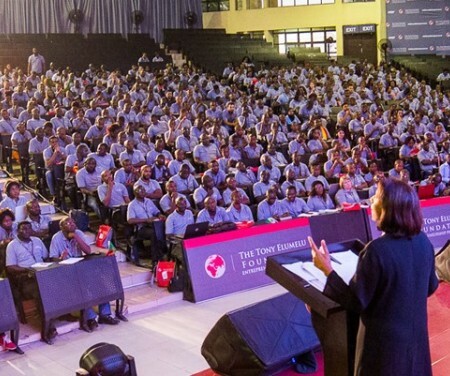 "On January 1, The Tony Elumelu Foundation will begin accepting applications for the 4th cycle of the TEF Entrepreneurship Programme. Through the application, we are identifying outstanding African entrepreneurs who have start-ups or business ideas with the potential to grow. The final 1,000 selected in each yearly-cycle are provided training, mentoring, funding and network access to support their business ambitions. In just 3 years, our 3,000 entrepreneurs across Africa have created tens of thousands of jobs in the process – in the Agriculture industry alone, they are responsible for over 15,000 jobs." For more information, visit their website: The Tony Elumelu Foundation.